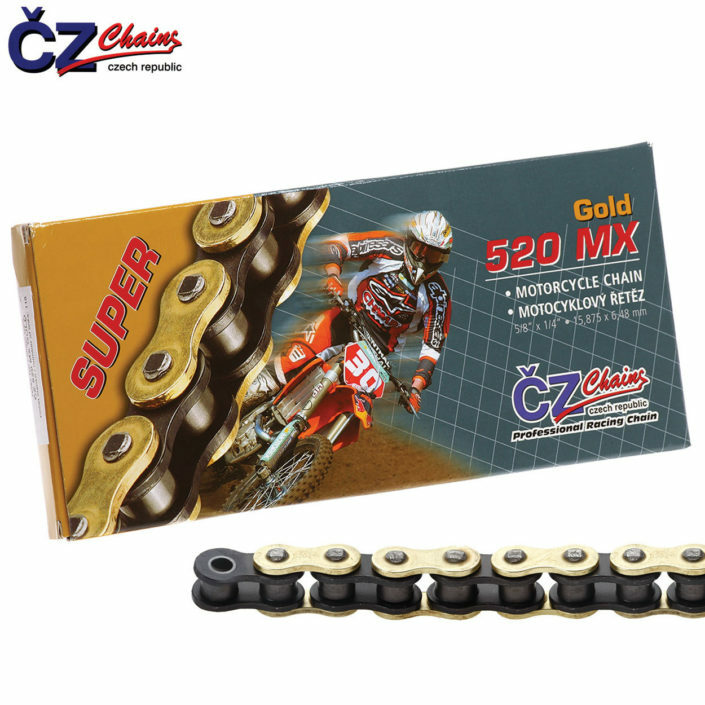 ČZ Řetězy, s. r. o. is a traditional Czech manufacturer of quality roller chains, bush chains, silent chains, and special chains widely applied in automotive and motorcycle industry as well in other fields of the industrial and farming production. Our mission is production of the world-class products with the guarantee of maximum satisfaction of all users. The manufacture of the ČZ branded chains in Strakonice dates back to 1929 when Jihočeská zbrojovka started production of the bicycles of the same brand. Over the time the manufacture has been expanded with the ČZ engine powered bicycles and motorcycles and production volume of the chains has increased hand in hand. Post-war economy required expansion of the chains for the industrial application and chains for the car engines. Řetězy ČZ entered these branches successfully as well because experience gained from production of the high quality motorcycle chains was transposed to these branches as well. Production of the special chains for transport, supply, handling, and handling equipment came soon an important component of the ČZ industrial chains. Improving the utility properties of the ČZ chains has been and is supported by the in-house R&D with test laboratories and material laboratories. Another strength of the company is in-house production of machines for automatic chain assembly that makes us to achieve the highest production quality level. A significant advantage is a production of all chain components in one single plant. This makes sure the production quality and production flexibility remain unchanged towards the requirements of the customers. Over the last decades the production quality is supported by compliance with the regulations as set in the international standards ISO 9001, ISO/TS 16949, ISO 14001, and Safe Organization certificate. Active-Ring: The first sub-category of the Enduro / Adventure series chains called Active-ring aims at customers who particularly prefer long durability of the chain transmission. To meet the requests the chains of this category similar to the High Performance and Enduro / Adventure series are provided with Active-rings and patent-protected KSJ bushes. O-Ring: The economic option of the Enduro / Adventure series chains uses a technically simpler ring with a round profile to make the lubricant sealed that imparts its name to the entire sub-category of the chains – O-ring. Despite the use of the O-rings can’t achieve the sealing properties of the Active-rings, the sealing is sufficient for normal operation with adequate lifecycle of the chain transmission. 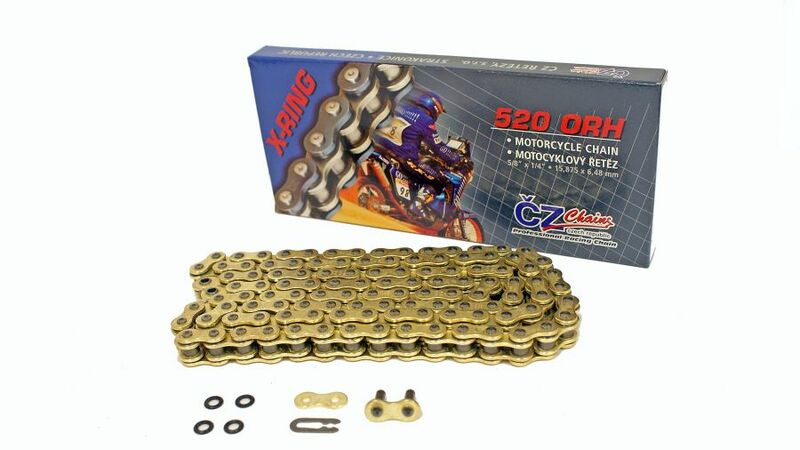 The chains of the O-ring category are selected by the motorcycle users who look for economy of the motorcycle’s operation without high annual mileage. This is the only motorcycle field where unsealed chains are mainly used. In racing, the chain durability is not alpha and omega because these sports prefer the lowest engine performance loss as possible, and static and dynamic strength of the chain. Also in this category the user may opt for the economic and racing design of the chain, while the latter is being identified as MX. 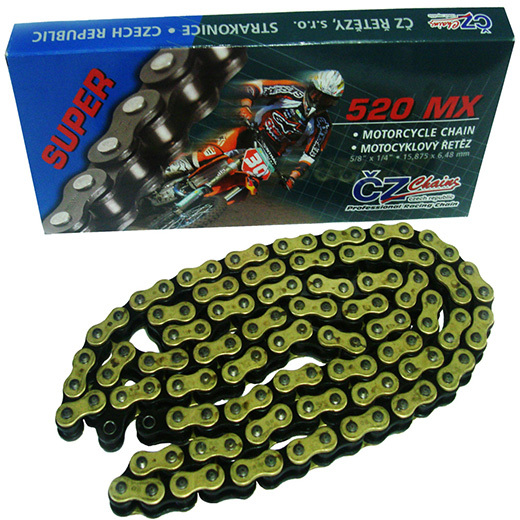 All categories of the motorcycles for Motocross/Supermoto and ATV may use the sealed chains of some type from the Enduro / Adventure chains as well. The selection of the sealed chain will extend lifecycle of the chain but at the expenses of slight performance loss (about 0.2kW).